Application : Bonded NdFeB magnets, made by binding super quenched Nd-Fe-B powder, with resin. User are free to choose the magnetization direction due to it’s isotropic property. Multi-poles magnetization for rings in radial direction can be easily achieved. Magnetic powder is covered with high temperature resistance material. It enhances temperature stability of magnet. 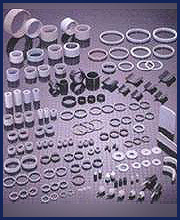 Special coating enable the magnets have high corrosion resistance property. It’s widely used in many industrials, such as motors, sensors, microphone, etc. 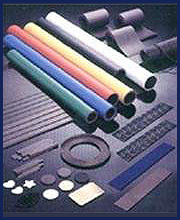 Application : Flexible Rubber magnets, made by mixing ferrite powder with synthetic rubber or plastic. 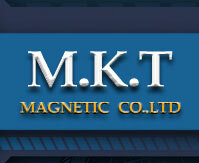 This type of magnet has excellent flexibility characteristic in permanent magnet material field. It can be easily folded, twisted without damaging the magnetic properties of the magnet. It also have excellent machining characteristic which cutting, punching, drilling and sawing can be easily done using normal tools, such as scissors and cutter. Application : NdFeB magnets, mainly made from Neodymium, Iron, Boron, has earned reputation on its high qualities and competitive price, it has excellent properties of high remanence, coercivity and Max.Energy Products. It’s widely used in motors, generators, hard-disc drives, magnetic separator, holding system, etc.